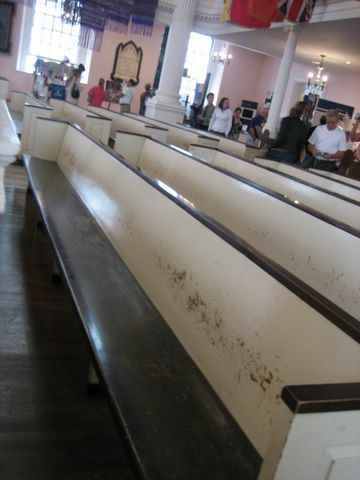 church at ground zero that received NO structural damage. I took pics of the pews because they got all scratched up by the firemans and police equipment and garb (they would come here to sleep and refuel) and the church left them like that. i thought it was cool. I LOVE this!! Awesome pics.. and this one is my fav.. cause I love it when you can totally feel the other people that had been somewhere! Awesome, Kat!! MORE PICS! POST MORE!!!! That is awesome that they did that!